Read about Charge.com - a credit card processing solution for online and offline merchants. Includes customer reviews, ratings, and frequently asked questions. Charge.com is a credit card processing service that allows online retailers and other businesses to accept credit card payments instantly via the internet, phone, email, fax or in-store. What is the price range for Charge.com? Charge.com's pricing varies according to the type of business you own and your credit card processing volume. They offer a range of tiered and interchange-plus pricing plans, but the latter is normally reserved for larger merchants. Merchants are charged a monthly statement fee of $25.00 if a reserve account is created for you. There is a one-time fee of $35.00 if your keyed-in transactions exceed more than 15% of your overall transactions in any given month, plus a government compliance fee of $25.00 per month. The standard Charge.com contract is for 36 months. If you choose to terminate before your term is up, you are liable to pay a $495.00 early termination fee. What features does Charge.com offer? 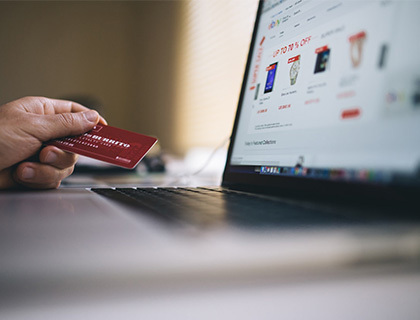 As an online merchant account provider, Charge.com offers three credit card processing options - real-time processing with a virtual terminal, computer e-commerce software for Windows or MAC, or an electronic keypad terminal. The service allows you to process credit card payments or checks via your website, over the phone, or by email or fax. Charge.com offers multiple payment gateway options and is compatible with most online shopping carts including eBay. They also offer free online shopping carts to all e-commerce merchants. Will I be approved if I have a bad credit rating? Yes, Charge.com approves merchants with bad credit ratings or prior bankruptcies. Where can I read good Charge.com reviews? Card Payment Options and Merchant Maverick have both done detailed reviews on the Charge.com. How do I get in touch with Charge.com support? You can reach Charge.com customer service 24/7 by calling the toll-free number listed in your account statement or by sending an email. Charge.com is an amazing company. I got set up the same day I applied and they are saving me 40% off of what I was paying with another company. I would not hesitate to recommend them. Worst experience ever. Got charged so many fees that I'm doubling my fees with my own bank with stop payments. They advertise one thing, but they neglect to tell you that their several departments have their own billing processes. Signing up with Charge.com was the best business move I’ve ever made. In exchange for practically no money, sales immediately went up by 1000%. I challenge everyone to find a better investment than that. After researching many credit card services, I found myself very frustrated with the process and even more frustrated with the ridiculous application fees. I was thrilled to finally have found Charge.com, where I was accepting credit cards within days – and for very reasonable rates. My orders quickly increased in both dollar accounts, and in the number of sales. I have tried for the past 2 weeks to get my account activated. I turned to a seasonal account to save the charges, but I ended up paying more. They treat my bank account like it is theirs. They just took out $185 PCI fee, even though I wasn’t activated. I kept staying to get my refunds, which rarely happens. After countless calls, faxes, and an email, I have customers here who can’t use their charge cards because the offices are closed. I have had nothing but trouble with this company. Fortunately my guests are willing to pay by check. I signed up for their service and honestly, I have never dealt with such an unprofessional company in my life. The customer service team aren’t helpful and seems like every time you have a question about the billing fees, no one is available to take your call and they say someone has to call you back. The fees that they charge are undisclosed as well as the other companies that they are associated with that will be servicing your account. After all is said and done and you want to cancel, they draw it out for days on end and then they want to charge you additional fees because the request dragged out to the next billing cycle. After having tried the others, I’m quickly finding out that Charge.com really is the best credit card processing system there is. I’d like to come back. Our small online business was only accepting payments thru M.O. and/or Personal Checks. It was taking too long to get the funds in our Bank and delaying shipping to our customers. So we looked for a way to accept credit cards, but every service we looked into was very troublesome for our clients (including a very well known online payment service) and had all kind of hidden costs or conditions for us! Until we found Charge.com: our sales improved dramatically and customers are very happy to deal with us! I’ve always thought that accepting credit cards was more trouble than it was worth. I’m happy to say that I was wrong. I’ve been accepting charge cards on my internet sites for over 5 years now and because it was my first business, was tied into a five-year contract. My sales immediately tripled and continue to rise yearly. As soon as the 5-year contract was up, I went in search of another card service. Charge.com is affordable and much easier to use! I am thrilled with their service and hope other small and first time business owners will consider them for their credit card service! You won’t be disappointed!